Today's Chinese Version (TCV) 現代中文譯本 . This is an everyday modern Chinese language Bible translation. It is printed in the traditional script used outside mainland China. Suitable for Cantonese speakers from Hong Kong, and Mandarin speakers from Taiwan. 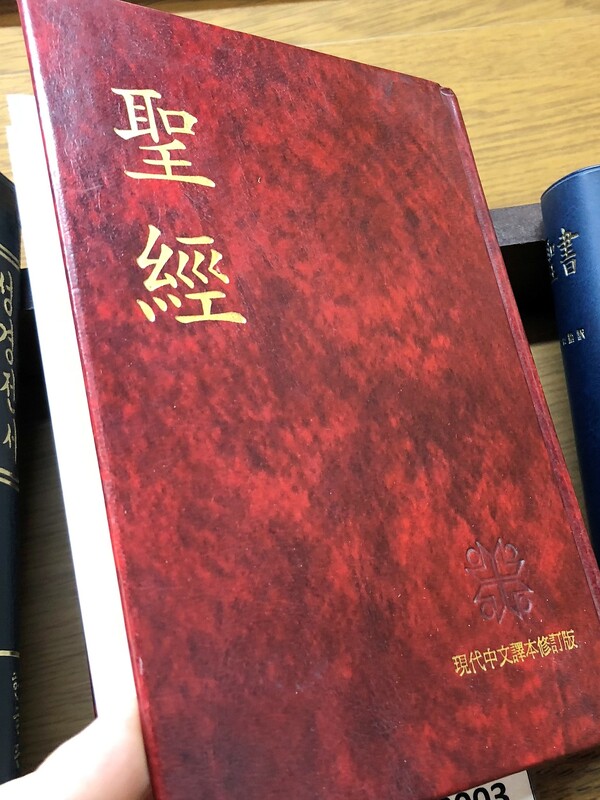 Shangti 上帝版 edition first published in 1995. 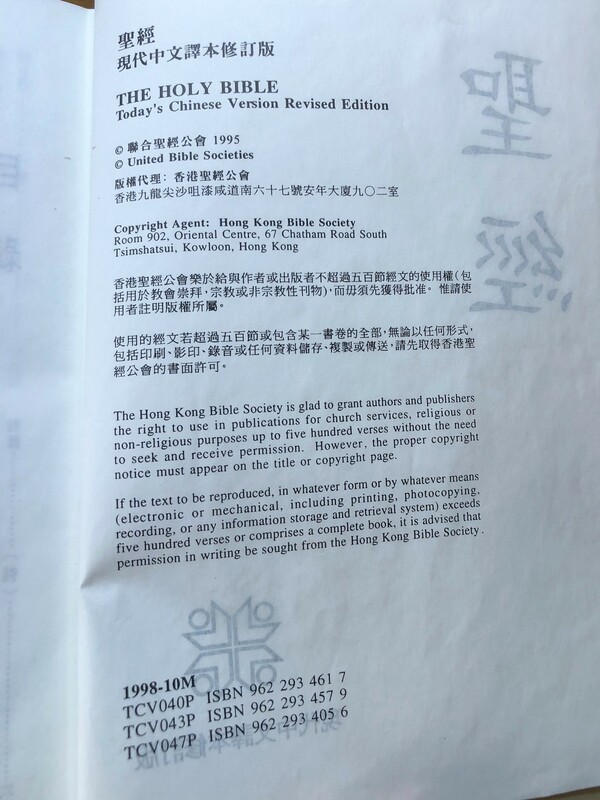 The Revised English Bible by Oxford University Press / Printed in U.K.
Click the button below to add the The Holy Bible Today's Chinese Version, No 103820 / 聖經 Chinese Bible - TCV - Traditional script - Shangti / 現代中文譯本 / 上帝版 / TCV043P to your wish list.